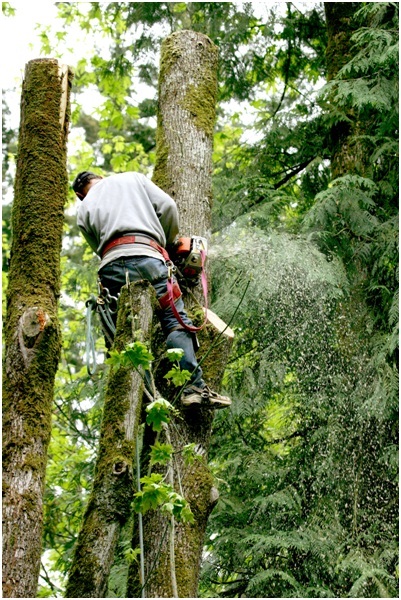 Keeping the trees in your landscape healthy is a top priority for us. But we don’t have eyes all around Orlando. We need your help to identify if trees around your home or neighborhood are sick. If you notice wounds or cankers on the truck of the tree, this is a sign of injury or infection. The tree has to be treated or be removed to prevent the spread of disease to other trees or to keep the damaged tree from falling over. Keep an eye on the crown (upper foliage) of the tree. If the tree has a disease, it’ll be spotted here first. Dead or dying branches in the crown are a sign that indicates an infection. If you find branches on the ground, checking these can also provide insight to the health of the tree. If the tree is losing a lot of branches, especially because of average winds, this is a bad sign. Do the roots show signs of rot and decay? Tread carefully! This is not just a sign of potential disease in the tree; it could also mean a weakened support structure. Contact a tree service in Orlando that has Certified Arborists who can identify the problem quickly and prevent any damage from occurring. If you see any of these signs in the trees around your home or neighborhood, make sure you contact an Orlando tree service that knows how to handle sick trees properly. Remember: we don’t have to remove all sick trees, but it’s important that we observe and analyze them and make the right recommendation for them.